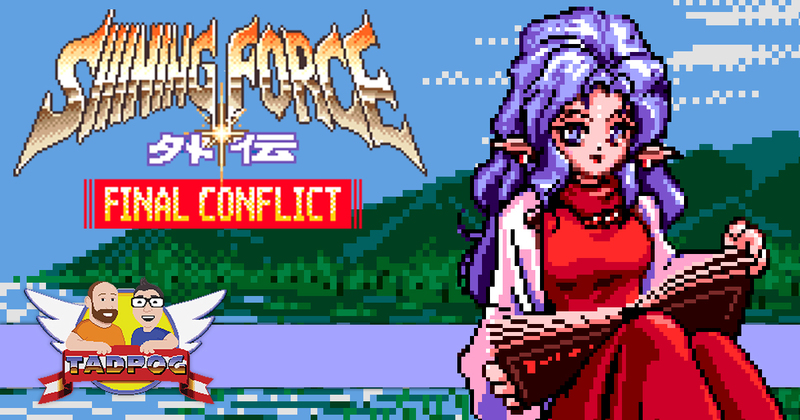 Did you know there was a Japanese-only Shining Force game that bridged Shining Force I and II? We didn’t until recently. So we played it. And we talk about it. We also talk about the loss of modern conveniences and which things were banned in our houses as children, so if you like Shining Force or maybe just like Tyler and Dave – check it out! About a year ago we talked about Shining Force II for the Sega Genesis. Here’s Part 1 and Part 2. Ever wonder, by a solid margin of error, how long it would take to beat certain video games? BEHOLD THE GLORY AND BRILLIANCE THAT WAS THE SEGA NOMAD! Pineapple Express, since it was a movie. Have just a goatee does make you evil. So who is the good Blake Woods?